Surrounded by jungle and mystery, the most famous archaeological sites in the Mayan world are waiting for you to reveal their secrets. Let the expert guides take you through the remains of the most enigmatic civilization: the Maya. Discover why you can hear the call of a quetzal bird at the Pyramid of Kukulcán in Chichén Itzá, climb the highest pyramid of Yucatan at Cobá, or admire the frescoes in the walled city of Tulum, where you can take spectacular pictures of its ruins framed by the sea. Xichén provides all-inclusive tours to the main mayan ruins in comfortable panoramic buses, with lunch, entrance tickets to the archaeological site of your choice, and even the chance to see beautiful cenotes. Plus, these are the only tours where you can combine two archaeological sites or a park such as Xcaret, Xel-Há, or Xenses. Your journey is about to start with Xichén Tours. Which will be your first expedition? Make the history of the majestic Chichén Itzá yours on a tour that has it all: round-trip transportation, breakfast on board, certified guide, beverages, and buffet lunch at La Casona de Valladolid. If you’d like to know more about the Mayans, this tour is for you. Walk through the ruins of Chichén Itzá, visit an artisanal community, and have the experience of swimming in the fresh waters of a sacred cenote. A great option if you want to get into the Mayan culture without being away from the sea. Admire the Tulum ruins, the only city facing the Caribbean Sea, to then enjoy unlimited snorkeling, meals, beverages, and more than 20 activities at Xel-Há, an all-inclusive park. A day full of activities if you are looking for all-around fun. Get into the jungle and ride a bike through the ancient trails of Cobá. 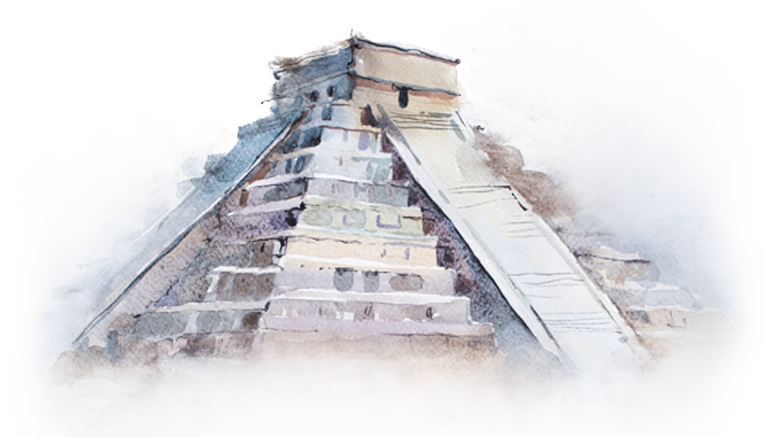 Climb the tallest pyramid in the Yucatan Peninsula, and discover the secrets written on its steles. Later, dip into the Xel-Há cove, snorkel, slide from the top of the Scenic Lighthouse, and enjoy more than 20 activities, all in the same day! The archaeological tour that takes you to two ancient Mayan cities on the same day! Explore Cobá’s roads on a bike and climb the Nohoch Mul pyramid, the tallest in Yucatan. Afterward, walk with your guide through the only Mayan city built in front of the Caribbean Sea, Tulum. In the end, you will visit Xel-Há to savor an exquisite buffet lunch. Inspiration and fantasy in an original tour. Enter the walled city of Tulum, which is facing the Caribbean Sea. Get inspired by its landscape and history, and then enter Xenses to test your perception, a park where nothing is what it seems.